Japan is generally regarded as being a rice-based food culture. However, bread — or pan in Japanese, derived from the Portuguese word pão — is eaten almost as widely. Many people prefer toast for breakfast over a bowl of rice, and sandwiches and filled sweet or savory breads called kashipan are just as popular for lunch as bentō and onigiri rice balls. The most ubiquitous type of bread in Japan is the white and pillowy square-shaped bread called shokupan, which simply means “eating bread.” Made of white flour, yeast, milk or milk powder, butter, salt and sugar, shokupan is both loved and taken for granted by most. Others have mixed feelings about it: It is after all plain white sliced bread with a unremarkable soft crust. It has none of the heartiness of a rustic hearth-baked loaf with a crackling crust or the unrefined grain breads that are preferred these days in North America and Europe. While you can get bread like that in Japan too, you need to seek them out in artisanal bakeries or department-store food halls. 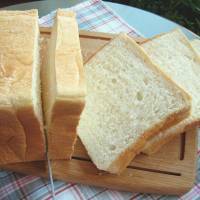 Shokupan is still the go-to everyday bread that is sold everywhere from supermarkets to convenience stores. Every Japanese bakery, however fancy it is, makes shokupan, just as every French bakery makes plain white-flour baguettes. To understand why shokupan is so popular in Japan, think of it as the bread version of a bowl of plain steamed white rice: It’s both a neutral backdrop for other foods as well as the star of the meal. And just as people get quite passionate about subtle differences in their white rice, they get can very picky about how that bland white slice should taste. Indeed, the ideal texture for the crumb of a shokupan is mochimochi — soft yet resilient and bouncy, rather like mochi (pounded-rice cakes). The weight of a shokupan loaf is standardized at 340 g or more, and the size tends to be pretty uniform too. There are strong regional preferences for how thinly it’s sliced though. 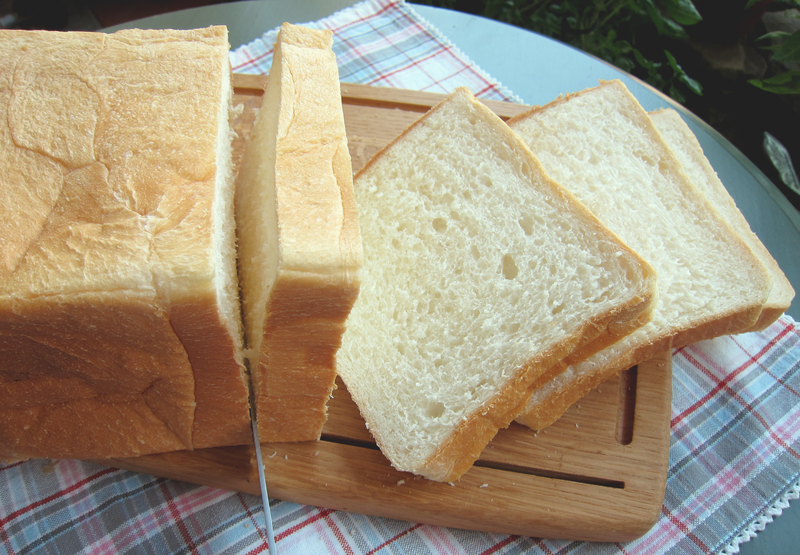 In the Kanto-Tokyo area and most of the country, people like bread that’s sliced around 1.5 to 2 cm thick or thinner (but rarely as thin as you’d find it overseas), six to 10 slices per loaf. But in the Kinki region the preference is for big, thick slices of 2.5 to 3 cm, four or five slices to a loaf. Coincidentally or not, the top three bread-consuming cities in the country are Kobe, Kyoto and Nara — all in the Kinki region. Kobe is where people started to take bread seriously as a meal staple rather than a snack, after the violent Rice Riots of 1918. And Kyoto, that most traditionally Japanese of cities, is as famous for its excellent bakeries as it is for its temples and tofu. The varying preferences in the thickness of sliced bread explains one more mystery of the Japanese kitchen: Almost every household has a toaster oven or a setting on their microwave, and pop-up toasters are rare. You can enjoy shokupan in many ways, including some uniquely Japanese concoctions such as sandwiches filled with potato salad or fruit and cream. Do try thickly sliced Kinki-region style toast too. Crispy on the surface and mochimochi on the inside, it’s a great example of a food imported from the West that has been firmly adapted to suit Japanese tastes.